Editor’s Note: This essay, written in March of this year, was contributed by Mine Özyurt Kılıç, a Fulbright Visiting Scholar at the Department of Comparative Literature at Harvard University and co-organizer of Harvard’s May 10 event, A Press of One’s Own: Celebrating 100 Years of Virginia and Leonard Woolf’s Hogarth Press. 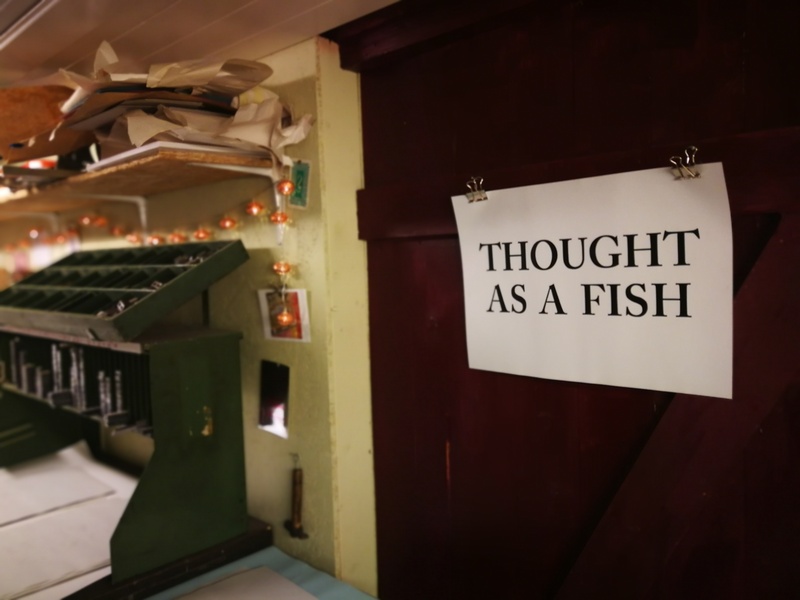 At Harvard, she currently investigates the connection between the ethical and aesthetic components of short fiction. Her research mostly focuses on contemporary British fiction with special interest in women’s writing. She is the author of the first book-length study on Maggie Gee’s fiction — Maggie Gee: Writing the Condition-of-England Novel (Bloomsbury 2013). This academic celebration brings her back to her master’s thesis on the theme of failure in love in T. S. Eliot’s poetry as well as to her lectures on British Modernism. 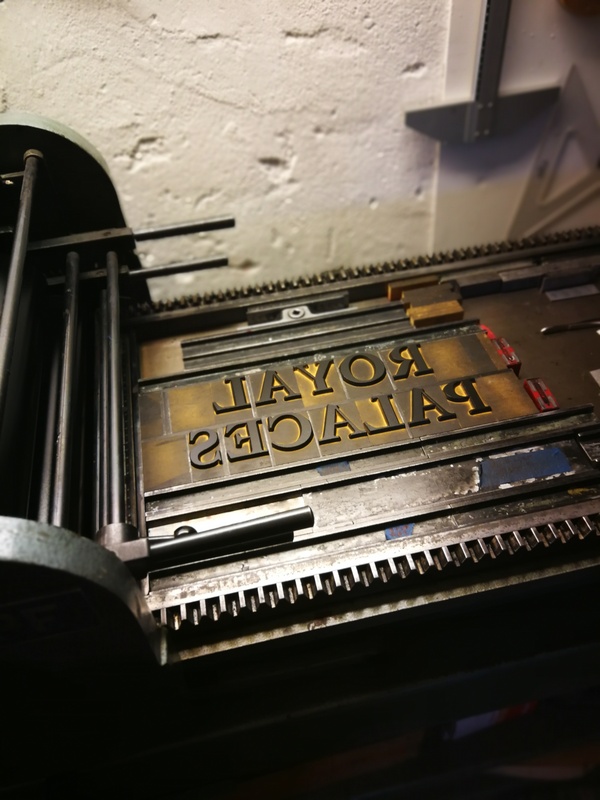 The snail is a seal of the Hogarth Press, a signature of its focus on nature and the natural against the industrialized literary marketplace! Like this snail with its home on its back, The Hogarth married private and public life with a letterpress machine on a dining table. And that has made all the difference! 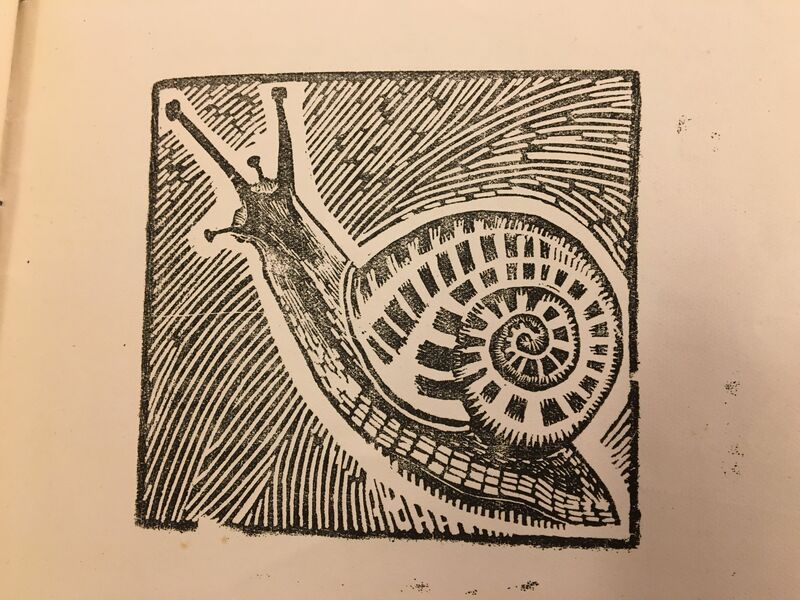 The snail that makes its appearance on the first publication of the Hogarth Press, “The Mark on the Wall” (1917), is the very emblem of the Woolfs’ mission. Like Schumacher’s claim for the economy “Small is Beautiful”, the Woolfs suggest that in “express[ing] the rapidity of life, the perpetual waste and repair”: Slow is beautiful! I want to think quietly, calmly, spaciously, never to be interrupted, never to have to rise from my chair, to slip easily from one thing to another, without any sense of hostility, or obstacle. I want to sink deeper and deeper, away from the surface, with its hard separate facts. This quiet, calm, spacious, and uninterrupted mode of deep thinking is the very engine behind Woolf’s Modernist texts that require a different mode of reading, a deliberately slow and effortful one that is like the movements of a crawling snail. The central motif in the story, also visually reproduced in Dora Carrington’s woodcut print to accompany the text, the snail is one of the many lives that the narrator feels committed to describe in detail. […] there are a million patient, watchful lives still for a tree, all over the world, in bedrooms, in ships, on the pavement, lining rooms, where men and women sit after tea, smoking cigarettes. It is full of peaceful thoughts, happy thoughts, this tree. I should like to take each one separately. In a later Woolf story “Kew Gardens” (1919), the snail now becomes one of the central consciousnesses. A single figure among those visitors coming from different walks of life, it makes its way around the flowerbed, thinking whether it is better to move or not, drawing the reader’s attention to the minutiae of everyday life, to a moment of being, from a major to a minor key. As such, it becomes a sign of a special state of consciousness slow enough to attend to details, to the cotton wool of daily life, to moments of being, to epiphanies, to fragments shored against ruins, to marks on walls, flowers, images and smells that memory brings from distant times and places. In the idiom of Woolf’s snail, the early Hogarth draws its readers’ attention to an eccentric, marginal and extraordinary vision that necessitates a reading slow enough to digest and savor millions of surrounding lives. 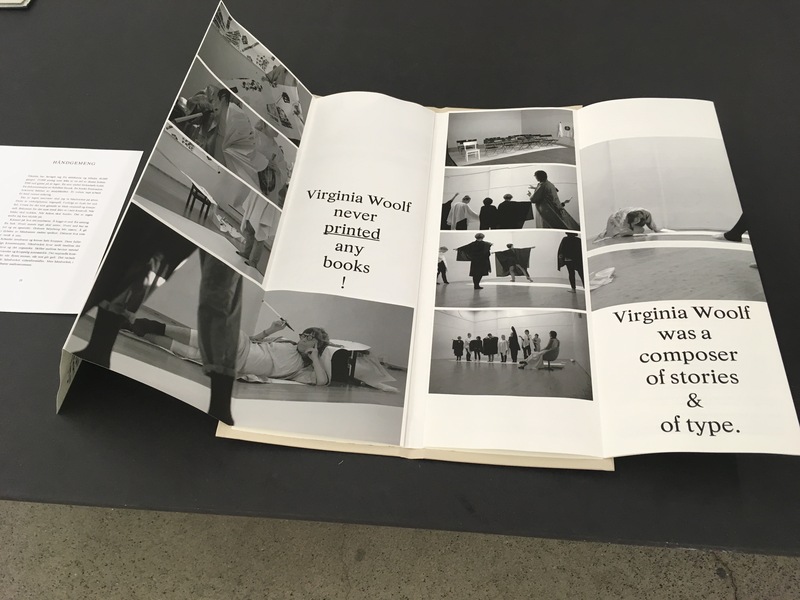 It has been almost one month since the 25th Annual International Conference on Virginia Woolf, but I am still thinking about all of the great events and presentations from the conference. 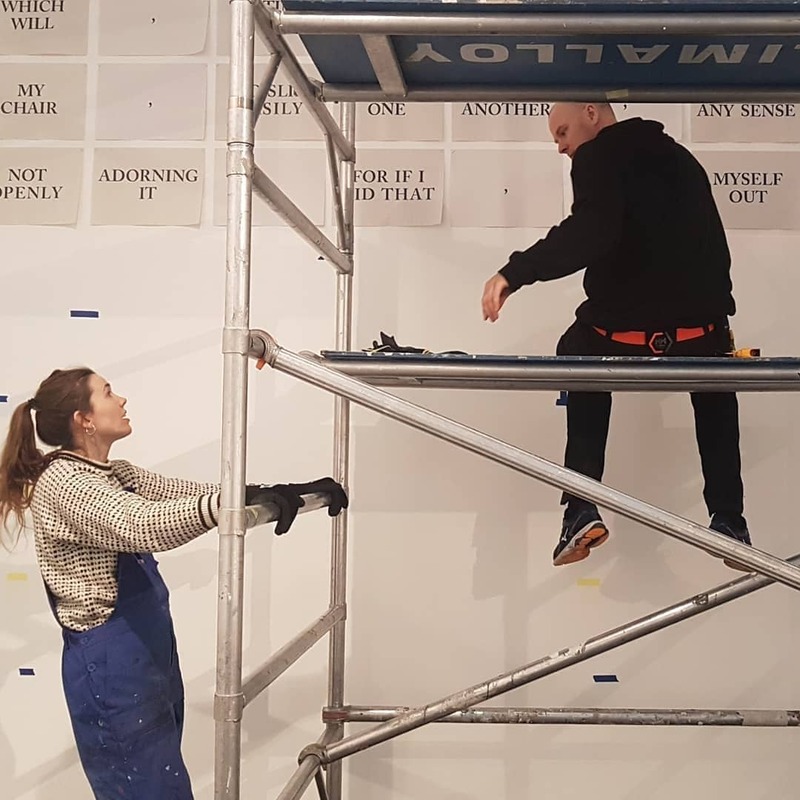 One of the highlights from this year’s conference was the “Mark on the Wall” exhibition, which presented art work that was inspired by Virginia Woolf and her female contemporaries. Artists from around the world were represented, and I had the lucky opportunity to interview one of the artists whose work was selected for this exhibition. In what ways do you think this piece connects with Virginia Woolf and/or the Modernist movement? Ozlem: In my artwork “Do Not Call Me Anything IV”, you can see knee high stockings worn with trousers by a woman (who probably has a room of her own). The knee-high women’s stockings are a metaphorical expression of stepping forward. This is what modernist women writers and artists do I believe. Along with the stockings I placed labels/tags which stand for the prejudice against women. Thus, the name of the series is “Do Not Call Me Anything.” Also, in terms of style, this is not a decorative piece or an oil on canvas; it is based on experimental, instantaneous involvements of objects and textures presenting the drama of modern life with its consuming, exhausting and unstable condition. This differentiates it and makes it modern, I suppose. Much of your work, including “Do Not Call Me Anything IV,” seems to put a focus on women’s clothing. In what ways does your work speak to and for women? Ozlem: The clothing items are somehow the witnesses of our lives, our passions, our emotional commitments, the violence we faced to both physical and psychological in a modern, demanding world. 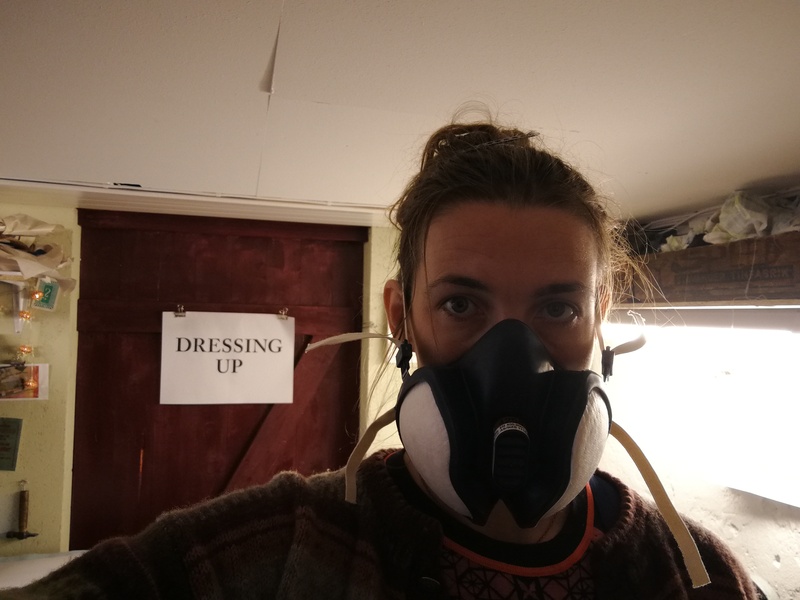 They may symbolise the abandoned self or the avant-gardist… I present the aesthetics of personal items while documenting them, a moment of confrontation. As a female artist, what kinds of struggles do you think that women artists face today? Ozlem: Still many… women have to wear many hats at a time. And women writers or artists around the world are facing many struggles such as censorship, visibility and representational issues. Virginia Woolf inspired many women all around the world. 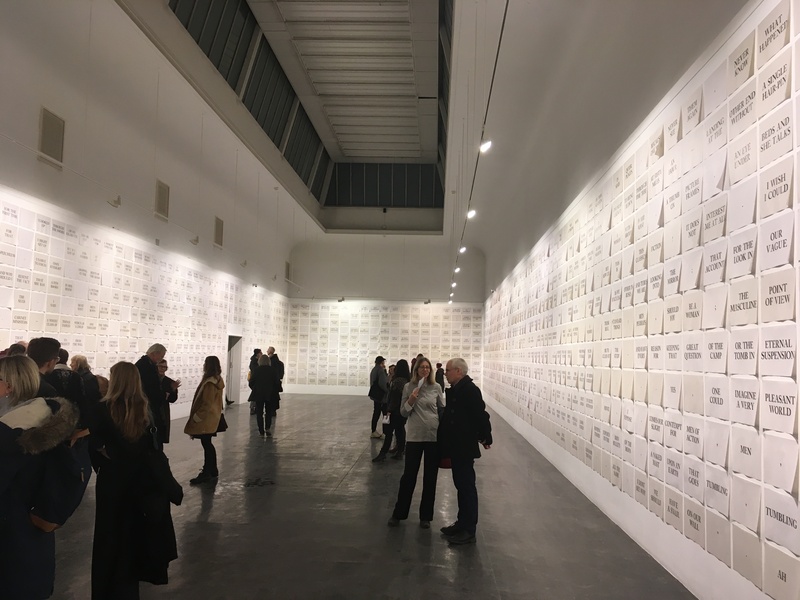 You can view Ozlem’s work and all of the exhibition selections in the “Mark on the Wall Online Catalogue”. Conference goers at The Mark on the Wall exhibit in Bloomsburg, Pa. 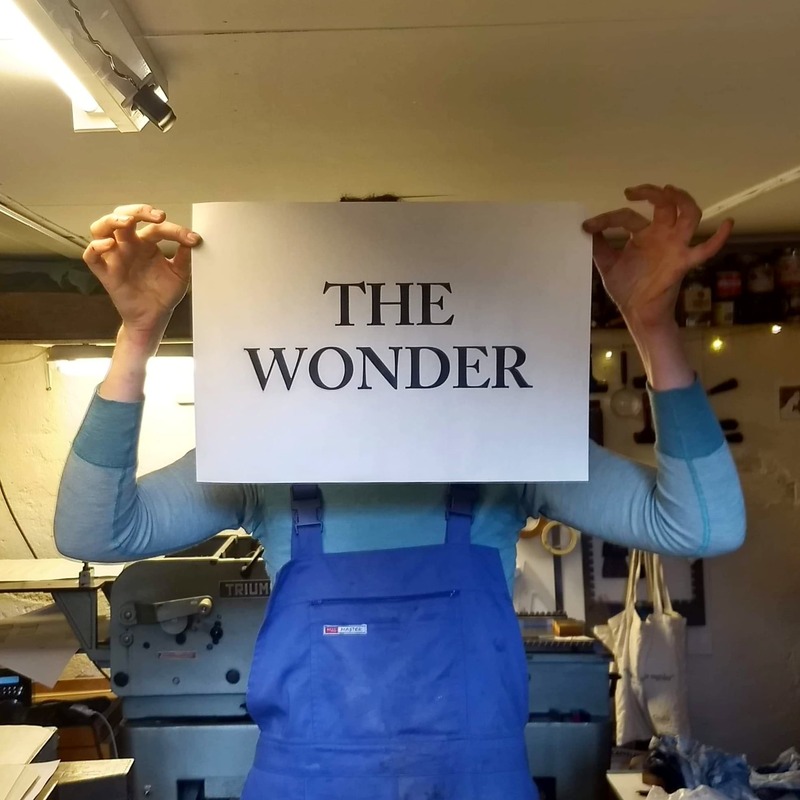 Artwork and the catalogue for the juried exhibition The Mark on the Wall, which was part of the the 25th Annual International Conference on Virginia Woolf, is now available for sale. 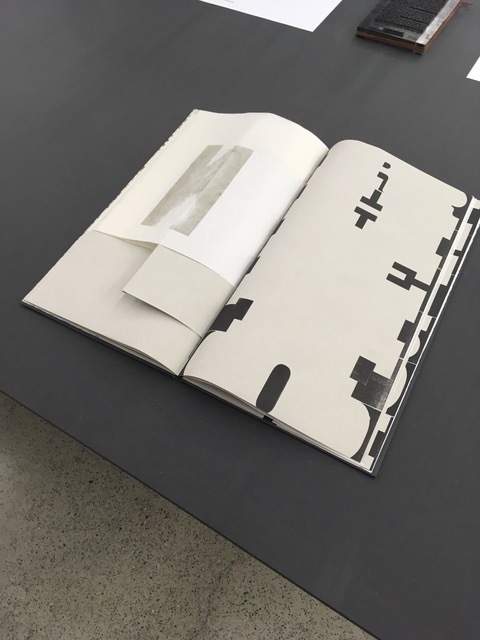 The catalogue, which is available at cost through Blurb as a print-on-demand item, presents the work of 47 artists from as far away as Dubai. The price is $37.49, plus shipping. The art work available for sale is unframed and will be shipped directly to buyers on June 30, when the show closes. Eighty percent of the proceeds from the sale of the artwork will go to the artist, with 20 percent going to the Bloomsburg University scholarship fund. 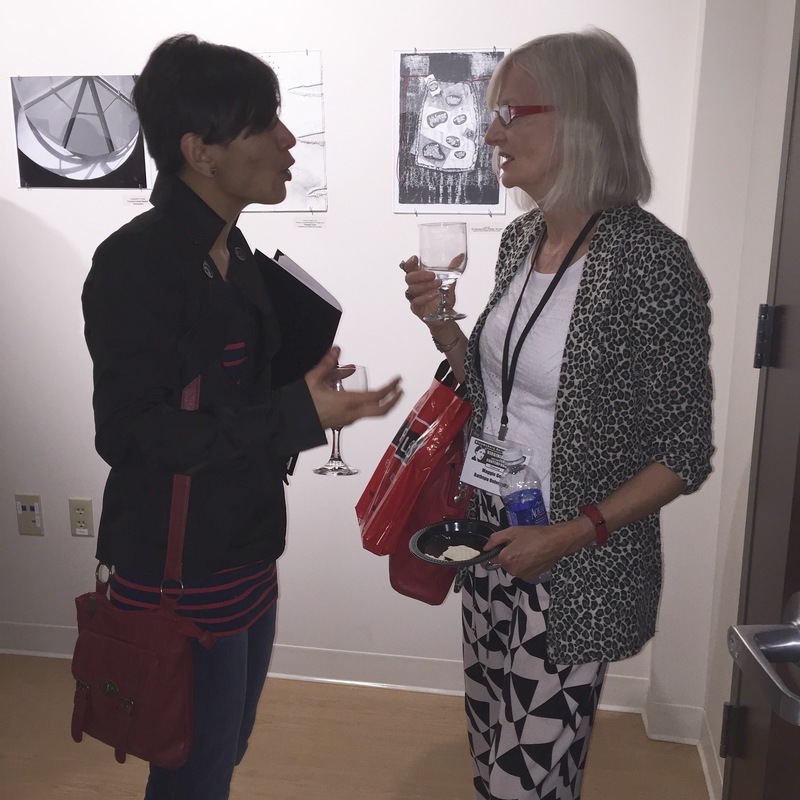 If you are interested in purchasing a piece of art, contact conference organizers at woolf2015@bloomu.edu before June 30. After that, all unsold work will be returned to the artists. The artists’ work, inspired by Woolf and her female contemporaries, was chosen from among more than 400. 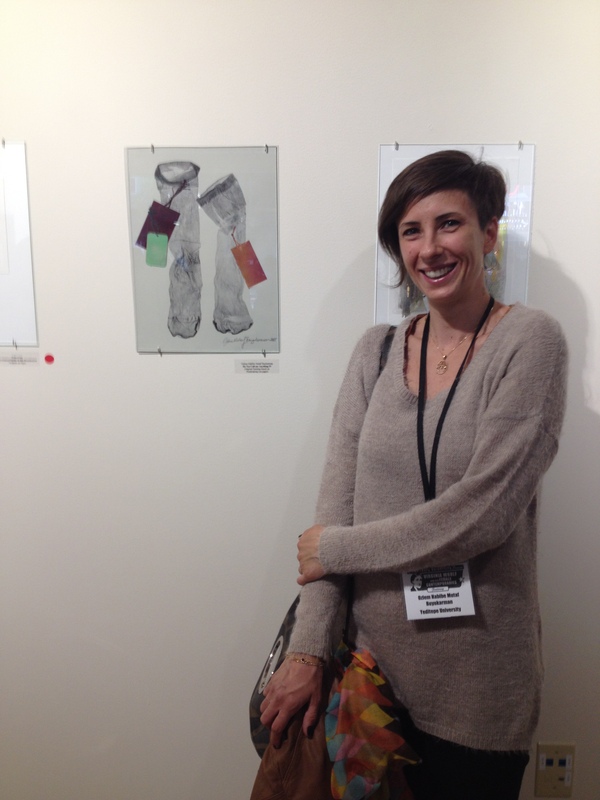 Four awards were given at the juried exhibition. Co-Best of Show Awards went to Erika Lizée and Carolyn Sheehan. Honorable mentions went to Mischa Brown, Chieko Murasugiand Jacqueline Dee Parker. See the full list of exhibitors. 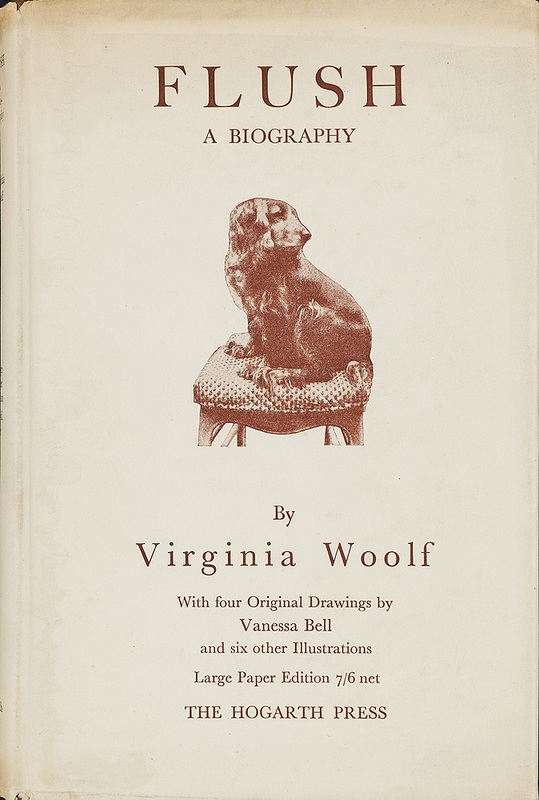 According to the society, Gabriella’s story combines ‘The Mark on the Wall’ with Flush, featuring Pinker the spaniel, the real-life model for Flush, given to Virginia by Vita Sackville-West. Virginia and Leonard are included in the story, and even Nelly gets a namecheck. RateMyWords also made a generous donation to the Virginia Woolf Society of Great Britain. Robert Stanley Martin offers a review of Virginia Woolf’s story “The Mark on the Wall” on his blog, Pol Culture. In it, he says Woolf builds on Wordsworth’s use of nature imagery, but that’s where the similarity ends. Instead of looking outward, as Wordsworth does, Woolf looks inward, Martin argues. And he frames that difference in simple terms, as the difference in the world outlook of the Romantic versus the Modernist. I, on the other hand, just finished reading Marguerite Duras’s The Ravishing of Lol Stein for a class I am teaching. As a result, I see a French connection with Woolf’s story. Let me explain. Duras’s 1964 novel has been called an anti-novel. That is similar to “The Mark on the Wall” being characterized as not “a story at all.” Lol Stein is a series of observations by an omniscient narrator squeezed between the two large actions of a young woman who is jilted by her fiancé and a man who observes her asleep in the rye field outside his hotel window. But there is a major difference. Duras writes Lol Stein in a purposefully vague and low-energy, melancholic style. She never takes us inside Lol’s head. Woolf, on the other hand, rushes to reveal the thoughts of her main character as she contemplates the black mark on the wall in front of her. All of which brings me to another French connection, one that has been flitting around the edges of my mind for years. 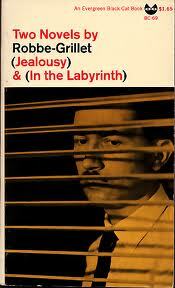 I am talking about Alain Robbe-Grillet’s third and most famous novel Jealousy (1957). In it, Robbe-Grillet presents five characters in a bungalow overlooking banana plantations. All is seen through the gaze of a faceless, voiceless narrator who counts and measures and minutely describes his surroundings. And in the midst of the story is a squashed centipede that has left a dark stain on a wall. 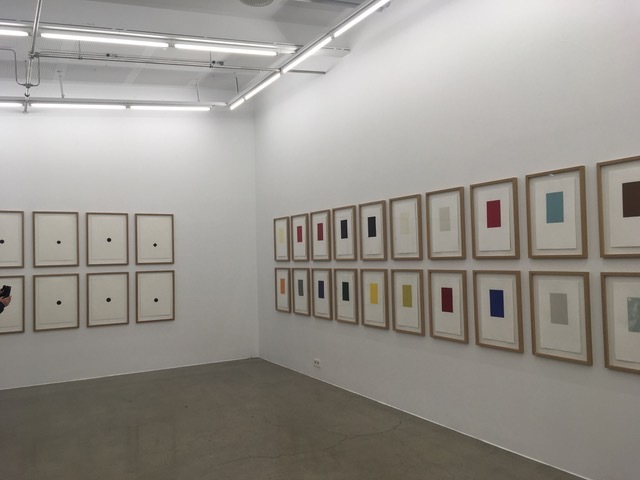 “and the bare partition where a dark stain … stands out on the pale, dull, even paint” (62). “On the light-colored paint of the partition opposite … a common Scutigera of average size . . . has appeared . . . the orientation of its body indicates a path which cuts across the panel diagonally: coming from the baseboard on the hallway side and heading toward the corner of the ceiling” (64). “About a yard higher, the paint is marked with a dark shape, a tiny arc twisted into a question mark, blurred on one side” (65). “On the bare wall, the traces of the squashed centipede are still perfectly visible. Nothing has been done to clean off the stain” (78). “On the opposite wall, the centipede is there, in its tell-tale spot, right in the middle of the panel” (95). 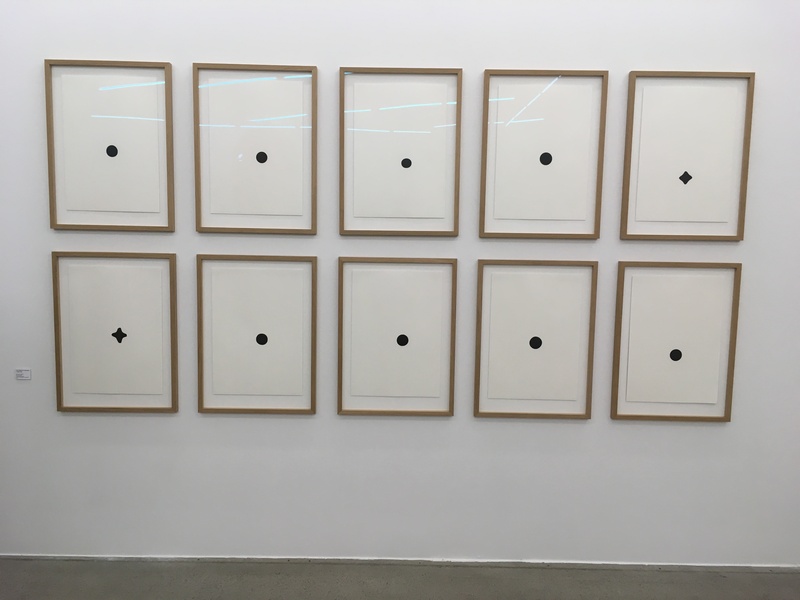 “The mark was a small round mark, black upon the white wall, about six or seven inches above the mantlepiece” (83). “In certain lights that mark on the wall seems actually to project from the wall . . . I cannot be sure, but it seems to cast a perceptible shadow, suggesting that if I ran my finger down that strip of the wall it would, at a certain point, mount and descend a small tumulus” (86). “`All the same, I don’t see why we should have a snail on our wall.’ Ah, the mark on the wall! It was a snail” (89). Both Woolf and Robbe-Grillet use a spot on the wall as a visual marker to which they both return. However, Woolf shares the interior monologue of her narrator, while Robbe-Grillet does not. Similarly, Woolf’s narrator uses the mark on the wall as an opportunity to conduct mental meanderings. Robbe-Grillet’s narrator uses the mark he observes to keep his mind anchored in objective reality. He does not wander into the subjective. Robbe-Grillet, who pioneered the New Novel of the 20th century, said he was influenced by Woolf. That is clear when one studies what he believed about writing novels. 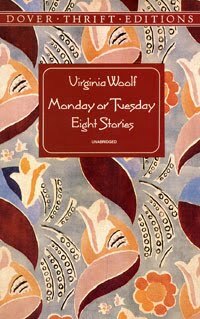 Like Woolf, he decried the idea of using the novel to narrate a story or support a cause.